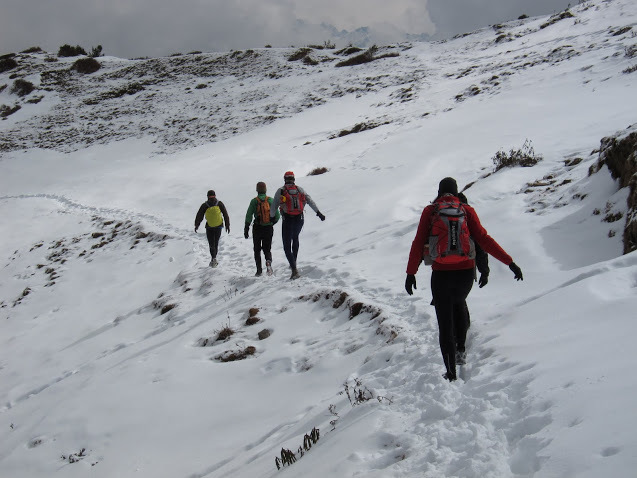 Cannot say for sure because I cannot look into others’ heads but I imagine that “Nepali trails” evoke images of the main Himalayan range, fantasies of running across 5000 meter passes, and otherwise alpine inspired associations. That’s all very understandable and is certainly an important part of what the country has to offer. But it’s not all and with my last couple of weekends very much being farewells of the trails that I run from home I want to share some pics of what is at one’s doorstep living in Kathmandu valley, a pretty busy chaotic, urbanizing piece of the planet. I am tempted to also say something about the rubbish that we came across along sections of the trail where I didn’t expect it, including the community forest area in Chitwan; about the atrocious state of nearly any road we drove (“this was surfaced two years ago”…”What! only two years ago, where did the road go? ?”); about the unplanned nature of any development; but however much those observations are valid, they would divert attention from what ultimately matters most: the absolute magnificent trail running outings one can have here. It’s not this or that particular route, it is not this or that particular part of the country, it is all over the place, everywhere, put on your shoes (or go barefoot) and hit these trails. This entry was posted in (trail) running and tagged Chitwan National Park, Mahabharat range, Nepal. Bookmark the permalink. I really don’t think you should leave Kathmandu, Paul will miss you too much! Looking forward to seeing you on Friday night. Hi Rona, I’ve already suggested the solution: relocation to Cairo, relocate drmacbatts to Cairo too (else he won’t do it), and start exploring the desert. I’m lobbying hard…. That’s it, talk about me as if I am already senile or out of the room (or both). Cairo sounds a but warm for me, I miss the short damp winter days of an English winter, the long damp days of an English summer and the mid-length damp days of spring and autumn!